Christmas and New Year are around the corner. It is about time to join your friends and relatives to celebrate Christmas and usher in New Year. Wait, it is also timely at this junction to plan and organize to get a head start in 2011 and beyond. This article is to remind you that your goals will be consisting of the following areas or else your life will be out of balance. Success and happiness in life is a balancing act. You can’t go to extreme in one particular area and ignore the rest; you will be courting for trouble. Healthy and fit: This is your first priority. Watch less TV and start to exercise or reduce your weight to be fit and full of energy. You will be able to do more and enjoy more in life when you are as fit as a fiddle. You feel good about yourself and you are calm and collected to live life fully. Career success : Set written career goals and move up the corporate ladder. Most important of all, you must be able to perform to meet the expectations of your employee. Build the trust of others in you. Acquire additional skills to be more valuable at work. Get rid of your bad habits and impress others by dressing smartly and appropriately. Financial freedom : Are you in debt? Resolute to reduce or erase your debt as soon as possible Aim to spend less than your take-home pay. The surplus fund is to be saved for emergency purposes and invested for your children’s education and retirement needs. Use credit card wisely but never do purchases on credit. Financial freedom is debt free and carefree. Harmony at home: Happiness is about a peaceful home life. Spend more time together and talk to each other more often. Starting this coming New Year watch less TV and help more in household chores. Get peace of mind: One way to get peace of mind is to solve problems creatively and promptly. An unsolved problem will disturb your peace of mind. Are you morally doing the right things? You get peace of mind by not cheating, lying or betray the trust of others in you. Peace of mind can be further enhanced by doing meditation daily. Get connected: Improve your people skills. Be interested more in others and see what you can do for them. The more you pay attention to others; they will notice it and show interest in you in return. Get connected with the right people to share and learn from each other to move ahead in life. Continuous learning: Your learning does not end with your graduation. It is just the beginning. Keep abreast and be alert of latest events and issues that are affecting you. Take advantage of advances in technology to do your work easier and more efficiently. Read and learn to stay updated in your area of expertise. Plan ahead now and make 2011 a successful year and more successes for many more years to come. Are You Diversifying and Growing Your Money? Dividend stocks: Look for stocks that give you steady streams of income. One such stock in Malaysia is Public Bank. It is a trusted brand with very consistent dividend payments. Dividend unit trusts: These are unit trust funds invested in a diversified range of dividend stocks. Unit trust investors receive income distributions instead of dividends. Examples of such local funds are AvenueEXTRA Dividend and Hong Leong Dividend. Rental income: Unlike REIT, you are actually the owner of the property and you collect monthly rental from the tenant: However you bear the cost of maintaining the real estate. Bond funds: Like unit trusts, you collect regular income from their distribution. You can expect a return of around 4% to 5%. Investment-link insurance policies: It is a combination of protection plus investment. A portion of the premium is used to purchase units in the investment linked funds managed by the insurance company. Not all investments that give you income are the same. There are risks involved and you have to be cautious. The key is to diversify your investments to avoid total loss. Are you not getting what you want in life? Do you get rejected most of the time? The most important thing is not to give up hope. What can you do to keep the flame of hope burning brightly? Be inspired: When you are inspired by what you want, you follow your dreams to achieve great things in life. There is high expectation and hopefulness in you. Bounce back: According to Orison Swett Marden, the editor of Success Magazine, there is no medicine like hope, no incentive so great and no tonic so powerful as the expectation of something better tomorrow. Do not take defeats as the end of the road. They are just valuable lessons to be learnt so that you will be wiser as you move on. When you fall you get up and carry on and not to surrender and give up. Learn from others: Find out and learn from others their achievements and defeats. Identify how they do things right so that your can follow and avoid what they have done wrong. Positive mental attitude: You have a choice about your thinking. Instead of despair be happy and cheerful and look at things on the bright side. As long as you are confident life is hopeful. There are no hopeless situations – only people who are hopeless about them – Dinah Shore (1917-1994), entertainer. Hope is a powerful force that keeps you going on in life. Do not give up hope. When you give up hope, you give up yourself. Be an early riser: Experience the goodness of getting up early to welcome a new day. You get more quality of life being an early riser. There is no need to rush about like you used to do previously and there is time to do exercise and have your breakfast to start a new day right. Moreover, you start ahead of others in getting things done. · Be more productivity: Make changes and take advantage of technology advancements to do things more effectively and efficiently. Automate or use software to speed up your work. A more active lifestyle: Make a change from you sedentary lifestyle and see a positive change in your health. Exercise every day to be more energetic and perform better at work. Go slow: Do one thing at a time instead of multitasking. Drive a little slower for a safer journey. Read at a slower pace to understand more and better. Work a little slower to reduce your stress and make fewer mistakes. Give up bad habits: Give up smoking and drinking and lead a more sober and healthy life. You spend less and gain better health and fitness at the same time. Think more positively: You are in control of your mind and thoughts. Change and think more optimistic about the future. Be more cheerful, upbeat and confident. Listen more: Instead of talking more, listen attentively and be interested in the person talking to you. You will understand the other person better. Spend more time with nature: Spend more time outdoor instead of sitting all day in front of your PC. You may get more information by surfing the Net but you will breathe in more fresh air. Look at the winding river, the white clouds or the green field to appreciate nature. Accept change as the norm: Be flexible and ready to accept changes with an open mind. Things are changing and evolving. People are progressing. Be alert to changes that are impacting your life. What are the positive changes you can make to improve your life? Do it now. Are You Enjoying Spiritual Well-Being? According to the Oxford Advanced Learner’s Dictionary, spirit is the part of a person that includes their mind, feelings and character rather than their body. There are many ways in getting spiritual well-being. You will find the following ideas helpful and useful. Guilt free: Your conscience is clear when you always do the right things. You are honest with yourself and others. You do not cheat or betray the trust of other in you. There is nothing for you to hide from others. Meditate: The best time to do it is before the break of dawn. Everything is quiet and your mind is clear and fresh. Meditate to relax your mind and calm your nerve. It is a great way to start a new day with a collected mind. Appreciation: Be appreciative of what you are and be contented with what you have got in life. Desire no material wants to gain serenity in your mind. Be thoughtful and thankful to those who have helped you in one way or another. Take time to enjoy nature: Escape from the city to be with nature and be pampered by the quietness and the fresh air of the mountain or the valley. The ability to solve problems: Unsolved problems are the main factor to disrupt your spiritual well-being and peace of mind. Think creatively to deal with a problem promptly and do not allow an issue to get worse. Happy and satisfy at work: Holding a job is more than getting a source of income. A job is your pride and it holds you in high self-esteem. You are pleased and feel good about yourself for what you can do. Positive thoughts: Let your thoughts be optimistic, hopeful and confident so that you can be happy, cheerful and delightful. Wish you more spiritual well-being. Organize your life and time: There are seven goals, namely health, career, financial freedom, family, happiness and peace of mind, relationships and continuous learning to achieve in your life and the key to organize your time is to strike a balance between the various goals. Do it in such a way that you are able to pay equal attention without going to extreme in one particular area. Organize your workplace: The goal is to achieve productivity. The way to do it is to organize your tools within your reach so that you can work continuously without having to hunt high and low for the things you need. Efficient organization is about proper storage or filing so that it is easy to retrieve an item. Organized your trip: Plan and organize your trip such as shopping for groceries once a week to avoid wasting time and petrol. Look at your to-do list to see how you can coordinate your trips and your tasks. Organized your day: Make each day a productive day. Organize and allocate time to work, rest, spend time with family and to exercise. One effective way is to carry a to-do list and follow the list doing first thing first. Get organized to get more out of life and be effective to achieve success and happiness. Ready to work: Do you like your job? Are you mindful at work? Are you fit and full of energy to perform your best? Dress smartly to project a positive image of yourself and to boost your confidence. Smile at people you meet, look at things on the bright side and be sure of yourself to get things done. When you are ready to work, you work at your best. Be organized: Always plan ahead and carry your to-do list in your shirt pocket. Be on top of things to execute from one task to another smoothly. Do less to achieve more by doing the most important job that gives you the most results. Solution provider: Employers are looking for people who can solve ongoing problems at work. Be creative and innovative to give practical ideas that work. Deliver timely, fully and precisely: Do a complete job and deliver as promised in a timely fashion to the satisfaction of your employer every time. Secure the trust of your boss in you. Continuous learning: To be effective you have to update yourself with the latest news, trends in technology and in the area of your expertise. Be ready to absorb the impact of events that are affecting you and make the necessary changes in the way you work for the better. A team player: Do not judge others but look for the best in others and work closely with other departments to achieve the goals of the establishment. Unity is strength. Working effectively and successfully is working proactively to be ahead and stay ahead of the competition. Creativity is not confined to designers; it is equally applicable to all walks of life. I find that by doing the following things you can get a flow of ideas. Be inspired: As a writer, I can run out of ideas for my articles and I need to look for inspiration. I look at many words from article titles, magazine covers and advertisements. One of the words will trigger my mind to come up with an article. Get off your chair go outside and look around and be inspired by what you see and observe. Something you notice will suddenly give you an inspiration. According to Fredrik Haren, author, do what inspires you. What inspires you makes you creative. Solve problems: Don’t run away from problems, problems are excellent way to make you creative. A problem is something new or else it is not a problem. You need a new idea to overcome it. With determination and by being resourceful and creative you get a practical idea to solve a problem. Solving a problem will boost your confident to solve more problems in life. It means you will get into a wonderful habit to be more creative. Learn new things: Learning new things will excite the mind and get you more resourceful. The biggest spin off is that you will be creative by applying what you have learnt to other areas of you life. Creative thinking attitude: Be it at work or at home, put on your thinking cap more often to find new ways of doing things. Tell yourself that there must be a better way to get this thing done. Determined to succeed: You want to be a winner and you want to achieve your goals. So, you work harder and think of better ideas to get ahead of others. Creativity generates unique and original ideas and the innovative ideas impress others and get you ahead of the crowd. When you manage time effectively, you are mindful, you get peace of mind and you go slow to get things done. You are not literally doing thing at a snail pace. You are paying full attention and work diligently but you are not under pressure or running short of time to get things done. You enjoy the process of doing it. There is a difference between working mindfully and working quickly and not paying full attention to what you do. Eat slowly: When you eat you don’t watch TV or read newspaper. You sit down to savor and enjoy your food. You chew each mouthful and taste the food before swallowing it. Actually proper digestion starts with the saliva. Read slowly: Read to understand and learn from it. When you read quickly you have to reread to know what it is all about. Love slowly: Love is not at first sight. It takes time to get to know and understand each other more and better. Exercise slowly: You get the most benefits out of a slow jog. You enjoy the fresh air and take in more oxygen. You look and see more along the way. Drive slowly: To drive slowly is to drive defensively. You anticipate and are on the alert at places where there are likely to cause accidents. You pick up at reasonable speed when it is safe to do so. Work slowly: An organized person has already planned ahead to do first thing first. There is time for him to take deserving breaks and he is in full control of the time to accomplish the tasks of the day without working under stress. Live slowly: When you go for a sightseeing trip you don’t rush about but you take your time to feast your eyes with the breathtaking scenes. Go slow in life to appreciate nature and the environment around you. When you are in full control of your time ,you go slow and enjoy what you do. · Reaching greater height: As soon as you have reached a milestone in your life, you set new targets and move on to conquer uncharted territories. Life goes on. · Keep fit and healthy: To be successful and happy is to be healthy and fit. Good health promotes energy and stamina and let you perform at your beast. · Optimistic: To think positive is to be hopeful about the future. You are eager to do the required tasks to reach your ultimate goals every day. · Solve problems creatively: Life is full of problems and obstacles. These are the essence of life or else it would be very dull. The most important thing is to look for solutions to problems you encounter along the way. Solving problems is a wonderful way to boost your confidence. · Companionship: The journey of life is made interesting and delightful when there is someone to accompany you. You share life through thick and thin with your partner and care for each other. The best way to live life is to live each day fully as it comes. There is no thinking about the past or worrying about the future. Success at work is about performance and how valuable you are in the eyes of your employer. Here are the things that you can do to be ahead and stay ahead of the competition. Set goals: Having a goal is to focus your attention and direct your energy in getting the right things done. There is room at the top to achieve your career goals so that you are able to go where you want to go and do what you want to do. · Plan and organize: Getting things done smoothly can be achieved with proper planning and organization. On a daily basis always prepare a to-do list in advance to execute your daily tasks. High EQ and people skills: Know your mood and be able to control your negative emotions such as anger, resentment and hatred. Understand the feelings of others and know the right time to approach them and get things done. 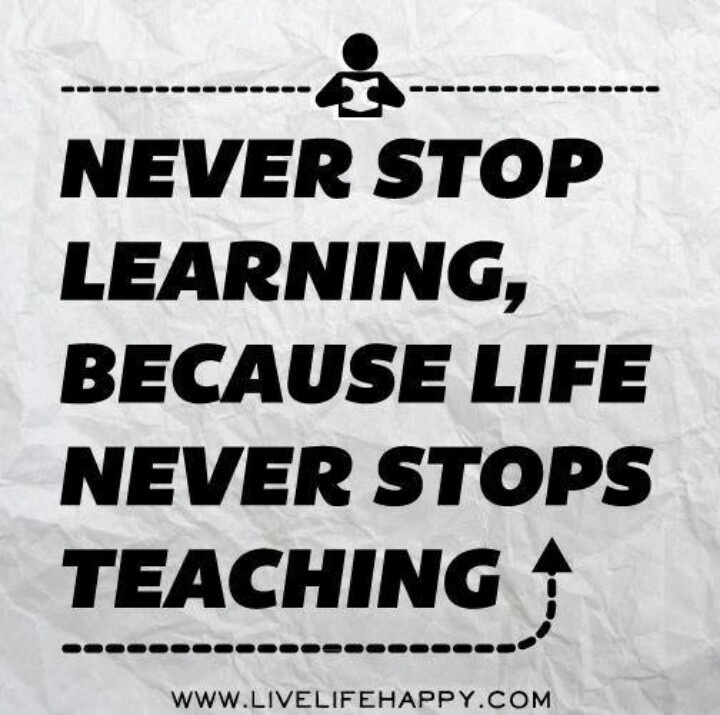 Continuous learning: Be well-informed to stay up-to-date. Get connected with the right people to understand the current topics. Catch up with the latest events that are happening around you and find out how these events are impacting you. Creative: Work better by thinking of smart ways to do things. Your unique ideas will get you ahead of others. A trusted and valued employee: What can you contribute? Can you reduce expenses, boost revenue, increase productivity or promote a better image of the establishment? Provide value and get things done and deliver more than expected on time. Build yourself into a trusted brand. Positive self image: When you dress smartly and appropriately, you tell others that you care about yourself and it is an indication of how you get things done. Always wear a smile and greet people to acknowledge their presence. Do more: Productivity is about more efficient and effective in getting things done in less time. People with multi-skilled are highly sought after by employers. It is because you can take on more jobs normally done by more than one person. Take courses or attend classes to acquire other essential skills. Peak Performance: To perform at your best is to be focus and mindful at work. You take deserving breaks instead of working non-stop to avoid unnecessary stress. You exercise regularly and eat nutritiously to boost your energy. Problem solving: Your job is also measured by how creative you are in solving problems. The best approach is to take proactive action and preventive measures to avoid getting into troubles in the first place. To be successful is to get the right things done relentlessly and continuously. It is your performance that counts. It is not a bad thing when the budget for a country is in deficit, like the recent Malaysia budget for 2011. Additional fund is needed to boost the economy, increase productivity, attract foreign investment and provide more employment opportunities for the people. Ultimately the aim for Malaysia is to be a higher-income nation in 2020. Personal budget is a different story. We cannot afford a budget deficit. We must budget for a surplus. Consider the following points to design a personal budget for financial freedom. · Expenses should be less than income: You cannot incur debt to cover your monthly expenditures. Debt attracts interest and it will snowball beyond your means to settle. Your expenses should be lower than your take-home pay. · Explore other sources of income: It is prudent to look for additional sources of fund should you need more money to cover shortfall in your budget. Turn your hobbies, such as photography, into a lucrative source of income or use your language skills to run tuition classes. · Stretch your dollar: Shop according to you shopping list only and take advantage of coupons. Shop for an item especially when it is on promotion. · Reduce unnecessary expenses: Look at your monthly expenditures and trim your expense budget. · Save for a bigger down payment for your car and home: Saving more for a down payment means paying less in monthly installments and getting a shorter loan period. · Save for a big ticket item: It is better to buy in cash instead of incurring interest to buy a big ticket item. · Identify wants and needs: There is a difference between wants and needs. You can budget for your needs but not your wants. There is no way to satisfy wants with limited income. · Use credit cards wisely:Credit cards are not for getting credit. Use credit cards to reduce your expenses and purchase of big ticket items in installments without interest. Financial freedom is about living without debt. It is about investing your surplus fund to grow your wealth. Ultimately when you retire, you can depend on your passive income such as rental income and dividends to live a carefree and easy life. .Happy at work: When you enjoy what you do and you like your work, why not do more of it? It is particularly true when the job does not give you stress or pressure. Just indulge in it. Allow your investment more time to grow further: When you are in a capacity to earn you don’t dip into your savings and investment. It means your money will continue to grow while you continue to work. Self- image and self-esteem: Imagine the huge number of jobless people around and you will appreciate yourself more when you are holding a job especially when you should not be competing in the job market. You think highly of yourself and you are confident of what you can do. Stay connected: When you are working, you stay connected with other people relating to your work. They update, enlighten and encourage you. Life is meaningful when you maintain a network of connection. There is no retirement: In life you do not retire, you continue to do things you find meaningful to live life fully. When your find your job interesting and you get satisfaction out of it, just continue to do it. When you can work and you are fit to work there is no reason why you should not work. It is especially so when your services are needed. Isn’t it wonderful to know that you are still a valued employee at a time when you should be retired? Are you Getting Peace of Mind? A happy family: Working parents are working outside and the children are left alone at home. They are wondering what the children are up to and they get no peace of mind while at work. It is important to build the trust between children and parents. Children must notify their parents about their whereabouts and what they do at home so that parents are on top of things. Peace of mind is counting on your children to behave in your absence. A healthy body: A fit and healthy body is more than just getting peace of mind. It is about happiness, feeling good about yourself, robust energy and calmness. In fact, health is the prerequisite for a meaningful life. Exercise regularly, eat nutritious food and sleep well at night are some of the things you can do to sustain a healthy way of life. The ability to deal with problems: There will be problems. The most important thing is to take the bull by the horns and attack a problem directly. Outstanding problems are always bugging your mind. Don’t just dwell on the problems and allow them to interrupt your peace of mind. Joy at work: The ability to hold a job is good, the ability to be interested in your work is even better but finding happiness at work is the best thing you can have in life. You spend most of the waking hours at work, it is important to get peace of mind at the workplace. Peace of mind is about mindfulness at work and getting mindfulness is about getting harmony at home, being in good health, enjoying your work and able to solve problems creatively. Financially independent: Peace of mind is also about debt-free living and making enough money to live a decent lifestyle. It is also about wanting less in life so that your mind is free from the desire to acquire more material things. Positive emotions: You are in full control of your mind. Think positively to promote peace of mind. Be cheerful, hopeful, confident, kind and friendly Fill your heart with love, forgiveness, appreciation and gratitude Peace of mind is about positive thoughts. Get peace of mind to be mindful and happy. News: Stay ahead of others by knowing and understanding what is going around you and the world. Find out how relevant events can impact your life. Technology: Advancements in technology can transform our lives. Learn and be ready to make the necessary changes for the better by adopting new ways of doing things. Economic issues: Look for valuable tips and opportunities in currency issues and business trends. Be on the lookout for solid investment. Professional skills: Update the knowledge in the field of your expertise. Take up courses and attend seminars to keep abreast of developments. Mental power: Stimulate your mental faculty: Be open-minded and stay alert and curious to new things and trending events. Information and knowledge: The more you learn and know, the easier it is for you to carry out an intelligent conversation with others and exchange ideas. Learning from yourself: Learn from your mistakes and past experience. The most important thing is to apply what you have learnt to improve yourself. Learning in itself is a fun thing to do. Devote a time every day to explore and learn something new. Mindfulness is about consciousness in knowing what you are doing at the moment. It means your mind is on the job at hand and you are not thinking of something else. How do you promote mindfulness? Solve your problems: One of the major obstacles in getting mindfulness is unsolved problems. You may be working on something but your mind is thinking about some outstanding problems. Problems disturb your peace of mind, do the best you can to overcome them and free your mind so that you can regain your mindfulness. Daily exercise: Daily exercise such as jogging gives you more than just physical health. You feel good about yourself and you also get the energy and calmness. Sleep well: Lack of sleep is irritable. There will be a lack of energy and concentration and focus is curtailed. Be interested in the things that you do: The easiest way to be mindful and without knowing the passage of time is to do things you are interested. You will be fully engaged or in a state of flow. Be organized: Advance planning is the only way to get organized. A to-do list is a wonderful tool just for that. Things get done smoothly without you worrying about not able to finish all tasks on time. Daily meditation: This is the way to cultivate mindfulness and peace of mind. Daily meditation promotes your ability to stay present. You will be composed and relaxed to work under demanding situations. Do one thing at a time: Doing more than one thing at a time is counter-productive, stressful and defeat mindfulness. Take breaks: Taking breaks is to clear clutter in your mind and refresh you brain so that you can continue to work with renewed energy and mindfulness. Conducive environment: Avoid disturbances and interruptions to interfere with your mindfulness when you are at work. Be mindful and be happy every moment. Do You Want to Migrate from Blogspot to Dotcom? Do You Have These Bad Habits at Work? Are you Enjoying Peace of Mind?